I started the day with going to the gym to do a leg workout. Since I have been back home in Sweden to visit family, I haven’t worked out for a while so I do expect some soreness tomorrow! However, after working out I usually have a protein shake even though I usually don’t like drinking shake because of the taste. 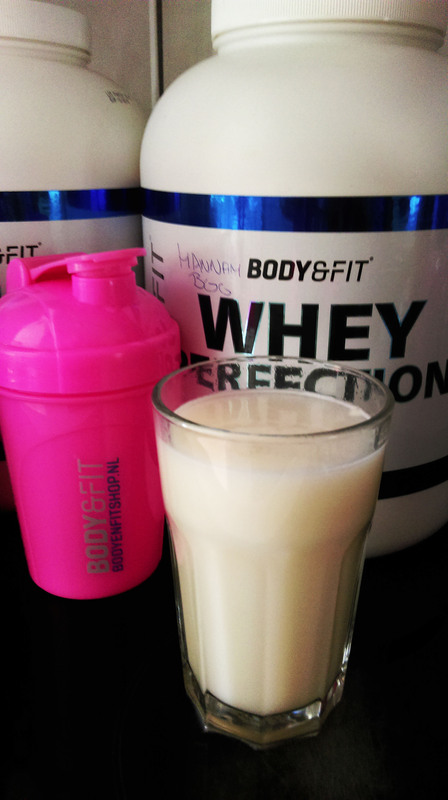 The shake I have right now is from Body & Fit shop and is called Whey perfection. I have the vanilla milkshake flavour and I have to admit it’s really tasty. So if you live in the Netherlands or Belgium, you can purchase it from bodyenfitshop.nl!